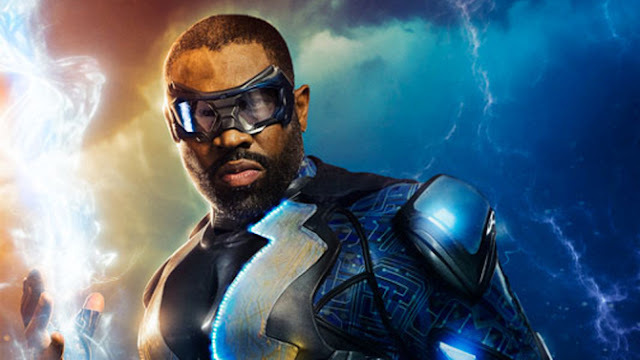 The CW released a trailer for its latest superhero drama “Black Lightning,” after their upfront presentation in New York on Thursday. Jefferson Pearce (Cress Williams) hung up his vigilante ways ten years ago as Black Lightning. Now, crime and corruption threaten his family and forces him out of retirement. He also has to mentor his daughters (Nafessa Williams, China Anne McClain) as their powers begin to emerge. The mid-season series comes from Greg Berlanti, one of the architects of CW's DC Comics' live-action shows along with Being Mary Jane creator Mara Brock Akil and her husband/producing partner Salim Akil who serve as the showrunners. Check out the first trailer below and expect Black Lightning to premiere in the winter on the CW.